Disclaimer: I backed the Sharin no Kuni Kickstarter project. 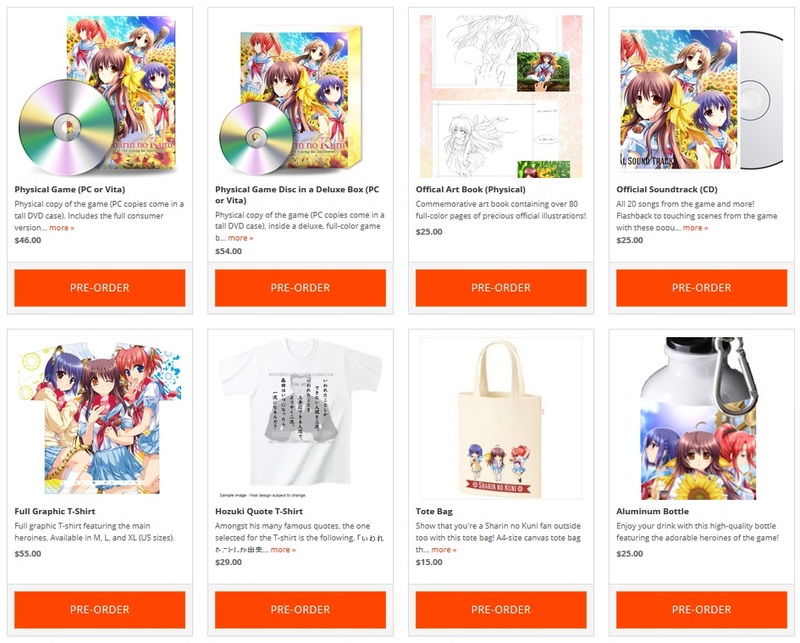 Frontwing and Tokyo Otaku Mode have put up the BackerKit page for the Sharin no Kuni Kickstarter, allowing folks who have missed the initial Kickstarter to pick up merchandise for the game or backers to add more rewards. Items on sale include the physical copy (both all ages for PC and PS Vita, which the 18+ content patchable on the DRM-free PC version), soundtrack, artbook, tote bag, pin badges, dekimakuras and laptops. Currently over $3k has been raised so far through BackerKit, alongside the $188k raised through the initial Kickstarter. The estimated shipping date is October 2017, though at the time of writing there is no lockdown date given. Sharin no Kuni ~The Girl Among the Sunflowers~ will be coming to PC via Steam and PS Vita. You can check out the BackerKit page here.